We just want to say a big thankyou for all the arranging and organising for our wedding day! Everyone commented on the venue and how it looked and everyone loved the selfie pod and the dancefloor. Lindleys did an amazing job with the food aswell! It was the best day ever for us! 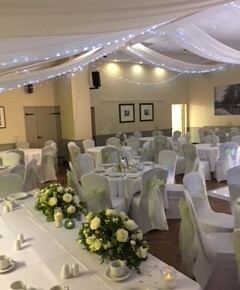 A massive thank you for all you did for the planning of our wedding reception on 25th September and to all your team who set up the room and were there on the day. It was a wonderful day and was made perfect by having such a lovely venue for our reception. We really appreciate everything you did. Just a line to say thank you for organising a memorable and enjoyable evening last Saturday. The guests were very impressed with the staff and the premises. We hope we will have the pleasure of contacting you again to enjoy another lovely evening. To Pauline and all of Grappenhall Community Centre Staff. Just a short note of thanks to you and all the staff of Grappenhall Community Centre for your support in staging my 60th Birthday party. Absolutely everyone had a wonderful time and commented on the beautiful venue and the excellent food. For my part you allowed me to enjoy the occasion with minimal preparation and no worries on the day which was exactly what I wanted. 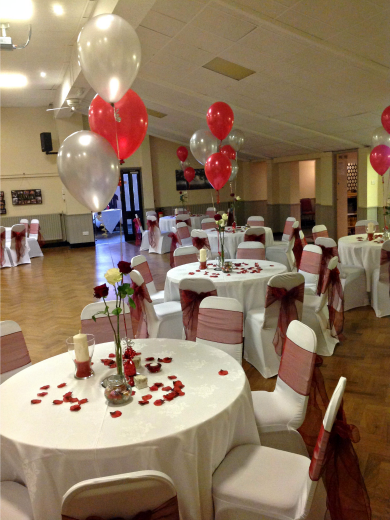 Your care and attention was superb and I would recommend Grappenhall to anyone staging an event such as this.